The Resurrection Diorama is framed by the Stations of the Cross. When I was young growing up in Greece, Easter was celebrated as the Feast of Feasts by the Orthodox Church. On Holy Thursday the Passion of Christ was told in readings of the "Twelve Gospels," and on good Friday children would bring flowers to church for the decoration of the Epitaphios, a carved wood representation of the Holy Sepulchre. And in our school shop class, small hands were busy using jigsaws to cut out the Crucifixion pasted on thin plywood. Christ on the cross with Mary and John, the Beloved Apostle that would form a free-standing, personal, devotional little shrine. So when I found this vintage scene of the Resurrection, I knew I had to share it with you, breaking for the first time the letter of the law of "Crèchemania." 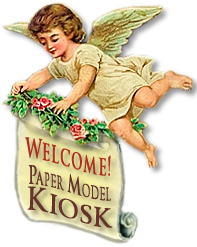 But I knew you'd welcome the chance to create your very own Diorama of the Resurrection. 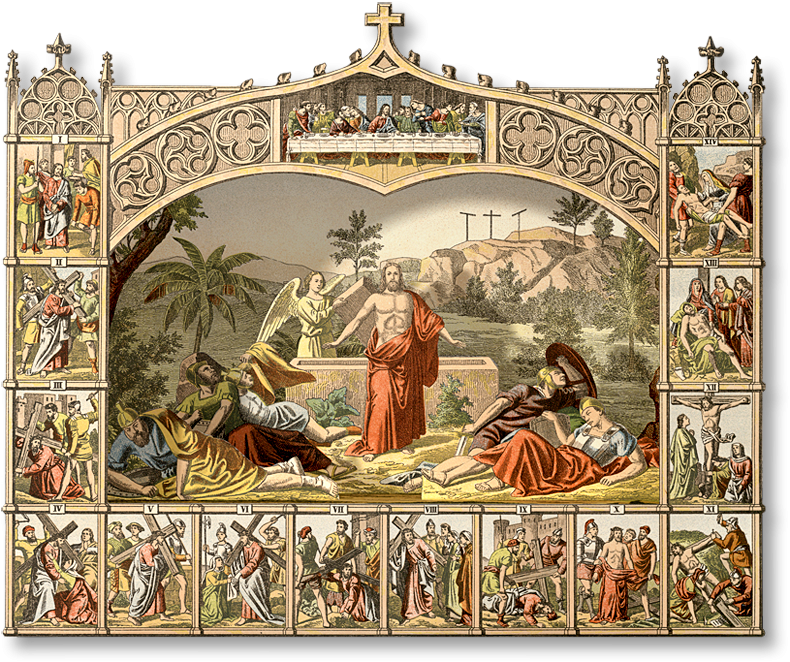 It really is a marvelous construction, ease in assembly, and rich in detail: not only are the 14 Stations of the Cross depicted, the Last Supper as well crowns the Gothic arch that encloses the Resurrection. Roman soldiers, blinded by the light of the Resurrection, lie on the ground, their togas wrapped around them. Golgotha is seen in the distance, and an angel lifts the stone to the sepulcher, . This diorama of the Passion and Resurrection is easy to assemble and sure to be treasured by your whole family. Depicting the Passion and Resurrection, it would make a marvelous addition to school, church, or home catechism. A quality Printed Sheet with fade-resistant inks. Size: 9.5 x 8 x 2 inches. 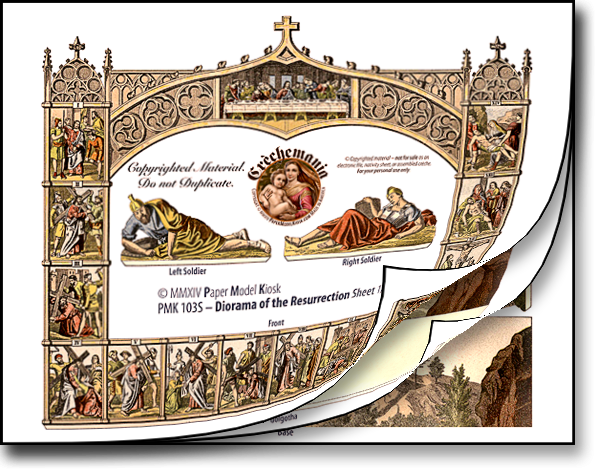 Buy Diorama of the Resurrection Sheet as part of a collection, and save!